The legend continues with Thors new and old! Loki spins a special ages-old tale of a young Odinson in action against a hulking great enemy. You wouldn't like this Viking when he's angry! But what incredible impact will this yarn from the past have on the present? 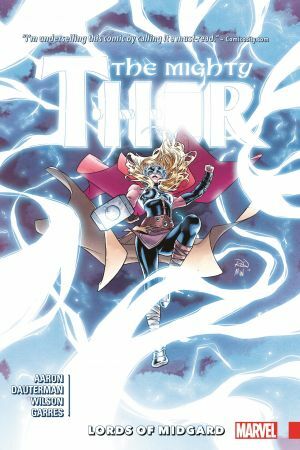 Prepare for corporate espionage, Marvel-style, as some of the world's most powerful and evil conglomerates go to war — with Thor caught in the middle! 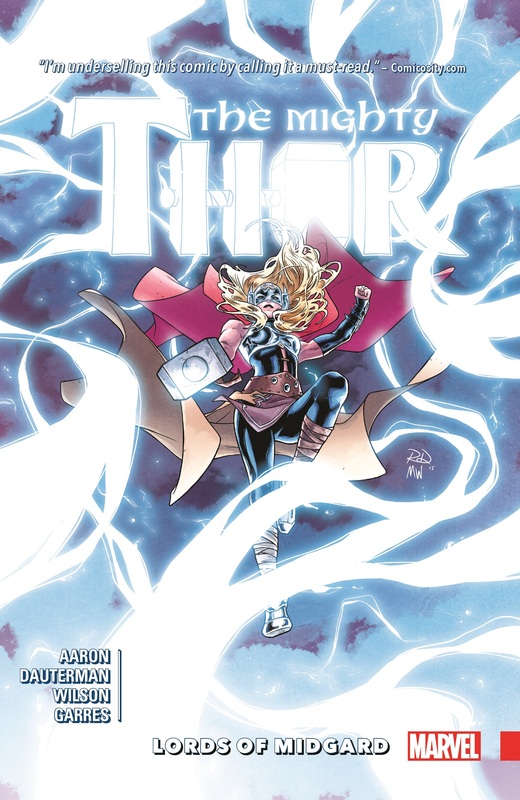 But if Roxxon and the rest aren't enough trouble, Jane Foster must contend with a new enemy: S.H.I.E.L.D.! Whose side will Agent Roz Solomon be on? Worse still, somehow millions of lives will depend on the God of Thunder saving Roxxon's evil executive, Dario Agger! All this and...the Exterminatrix and the Silver Samurai?! 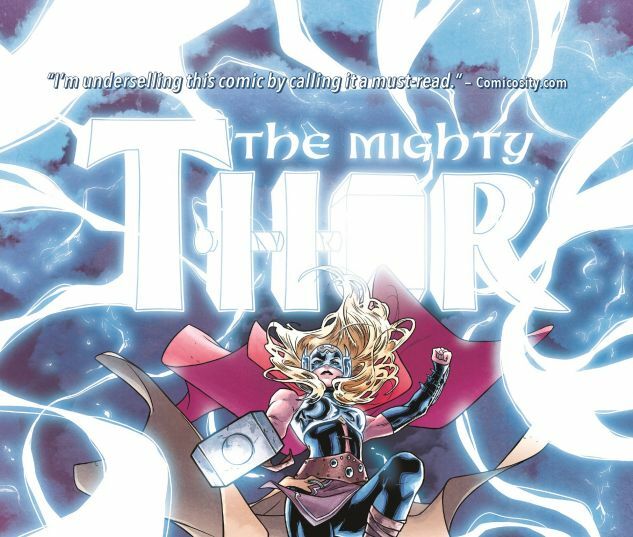 Collects Mighty Thor (2015) #6-12.